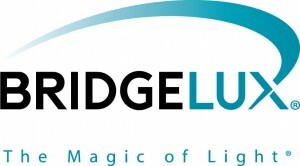 Bridgelux, a Livermore, California-based developer and manufacturer of LED lighting technologies and solutions, has raised $15m in funding. Backers include VantagePoint Capital Partners, DCM, El Dorado Ventures, Novus Energy Partners, IFA, Chrysalix, Harris & Harris Group, Craton Equity Partners, Jebsen Asset Management and Passport Capital. The company intends to use the funds to accelerate research and development. Its GaN-on-Silicon LED chip technologies are targeted for commercialization in 2013. Led by CEO Bill Watkins, Bridgelux is developing patented light source technology designed to replace traditional technologies (such as incandescent, halogen, fluorescent and high intensity discharge lighting) with integrated, solid state lighting solutions that enable lamp and luminaire manufacturers to provide high performance and energy-efficient white light for the rapidly growing interior and exterior lighting markets, including street lights, commercial lighting and consumer applications.